According to the latest survey conducted by TheKnot.com, the average cost of a wedding today is around $28,000. Some couples even spend more which doesn’t include the honeymoon cost. Indeed, weddings are costly. But the good news is you don’t have to spend that much for your wedding. There are dozens of ways to create a beautiful wedding without actually breaking your bank. The following are some small wedding ideas you should consider that can save you thousands of dollars. One of the easiest ways to slash the cost of your wedding is to cross out some people from your guest list. You may be a super friendly person, but think about it. If you are paying a $100 per head, removing ten people from your invite list will save you a whopping $1000. The rule of a thumb is to only invite those who are very close to you. We all know that prices tend to go up during peak season. If you will plan your wedding during off-peak months, it can save you as much as 30% of your wedding cost. Also avoid Saturdays, as it is the most expensive day to tie the knot. Be open to alternative dates, and your wallet will sure to thank you. 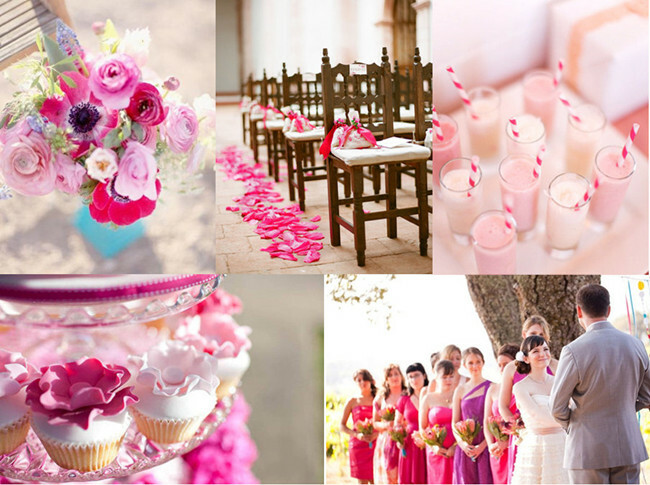 The venue is also one of the greatest expenses in weddings. So instead of elegant wedding halls, consider other less expensive facilities, like restaurants, civic gardens, or national parks. Or if you want to save even more, you can try holding your event at the beach or at your own backyard. Hosting your wedding ceremony and reception in one place can also save you serious cash. 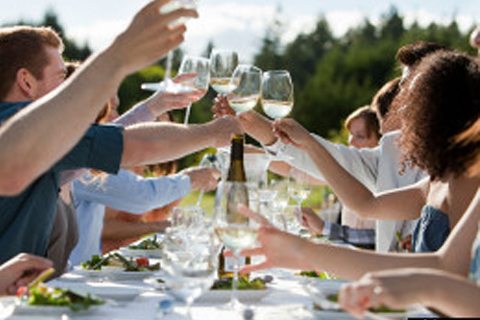 A lot of people spend big bucks on the food they serve at their wedding party. But just because more people are doing it means you should do the same. If money is really of concern, choose simpler menu. Avoid adding meals that people won’t eat anyway. For instance, there’s no need to serve an additional dessert when you can use your cake for it. Remember, there’s no need to serve signature liquor to please your guests. Fruit juices and shakes will do. Or if you really want to set-up a bar, just open it for the first few hours of the party. Close the bar at the last hour of the party, and serve some coffee or juice instead. This step will significantly save you a lot of cash. There are tons of ways to cut costs when it comes to your wedding decorations. And one of the small wedding ideas you can consider is to DIY them. Sure, DIY projects are not for first-time crafters, but if you love challenges, then there’s no reason you can’t do this kind of stuff. Rather than buying expensive wedding embellishments, design your decorations yourself. Or have someone help you arrange them. You don’t need to cover your entire venue with flowers, just one or two kinds of flowers will do. And if you want to save even more, go for less expensive options, such as peonies rather than roses. You can also use non-floral decorations, such as lanterns and candlelight, to cut the need for floral decoration. If you decide on a venue that is naturally decorated, you can save a lot more. Your dress is also one of the biggest expenses in your wedding. If you’re not that wise, it can instantly empty your wallet. Rather than buying a designer wedding gown, opt for a pre-loved dress that has been worn before. It’s practical since you will be wearing your wedding dress once. There are lots of consignment stores out there that offer big discounts for pre-worn dresses. You can also save even more if you rent a dress instead of buying one. A fully-served wedding cake can cost you $300-500. For a person who lives on a tight budget like you, spending this amount for a cake alone is not practical. So forget about ordering an elegant cake covered with lots of frosting because it’s not a smart choice. Instead, have a small and simple cake, and make the decorations yourself. Buy some ribbons and laces at the nearest craft shop and pin them on your cake – it will surely look lovely at a cheaper price. 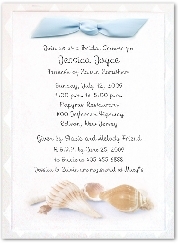 Your invitations don’t need to be super glamorous. After all, their only purpose is to announce your wedding. Simple cards with nice prints will do. You can also just send a single-page invites or mail them electronically to save on postage cost. And if you’re not having a destination wedding, you can skip the save-the-dates. These days, money is really tight for everyone. Although it may be impossible to save a huge amount of cash with one simple step, combining all these small wedding ideas will certainly save you a significant amount of your wedding budget.